Administrative Law Judge (ALJ) Glynda B. Gomez, Office of Administrative Hearings (OAH), heard the above-captioned matter in Costa Mesa, California on March 7 and 8, 2011. The Newport-Mesa Unified School District (District) was represented by S. Daniel Harbottle, Attorney at Law. Program Coordinator Scott Huffman was also in attendance for District. There was no appearance by Student, her parents, or any representative on her behalf. District filed a request for due process hearing naming Student as respondent on November 8, 2010. A joint request for continuance was granted on November 23, 2010 for good cause. At the request of District’s counsel, at the close of hearing the record remained open until March 22, 2011 for the submission of closing briefs. District’s closing brief was timely filed. Does the District’s offer of placement in a moderate to severe handicap special day class (SDC-MS) at Estancia High School, as contained in the October 29, 2010 Individualized Education Program (IEP), offer Student a free appropriate public education (FAPE)? 2. In February and March of 2009, Student was evaluated by Nathan H. Hunter, Ph.D. (Hunter), a clinical and school psychologist. Hunter’s evaluation was made in response to a request by Parents for an independent educational evaluation (IEE). Hunter received a bachelor of arts degree in human services in 1987 from the California State University at Dominguez Hills, a master of arts degree in clinical psychology in 1990 and doctorate in psychology in 1993 from the California School of Professional Psychology. Hunter is licensed as a psychologist in both Arizona and California. He also holds a Professional Clear Pupil Personnel Services Credential in school psychology. Hunter served as a school psychologist in the Laguna Beach Unified School District, Orange Unified School District and Bishop Montgomery School District. At the time of hearing, Hunter was engaged as an independent psychologist in private practice. He has maintained a private practice since 1997. 3. As part of his evaluation, Hunter reviewed school records including prior psychoeducational testing reports and observed Student in her SDC-LH classroom. Hunter also interviewed Student’s parents, physicians, psychiatrist, special education teacher, and her one-to-one special education aide. 4. To ascertain Student’s cognitive level, Hunter used the Wechsler Intelligence Scale for Children-Fourth Edition (WISC-IV). The WISC-IV is a standardized measure of intelligence which provides information about areas of cognitive functioning. The WISC-IV includes subtests of verbal comprehension, perceptual reasoning, working memory, and processing speed. Student received standard scores of 57 in verbal comprehension, 45 in perceptual reasoning, 62 in working memory, and 50 in processing speed subtests. From the subtests, Hunter calculated Student’s full scale intelligence quotient (FSIQ) as 44, a result in the extremely low range. Hunter also administered the Stanford Binet Intelligence Scales, Fifth Edition (SB-5), a standardized measure of intelligence which provides information regarding both nonverbal and verbal intelligence. Student’s FSIQ on the SB-5 was 42, in the moderately delayed range consistent with the score she received on the WISC-IV. 5. To ascertain Student’s academic achievement level, Hunter administered the Wechsler Individual Achievement Test-Second Edition (WIAT-II) to Student. Student received subtest standard scores of 40 in word reading, reading comprehension, numerical operations, and math reasoning, 60 in written expression and listening comprehension, and 65 in spelling. Student scored in the very low range at the first percentile or lower in all areas. Accordingly, Hunter opined that Student’s achievement level was commensurate with her cognitive level. 1 At hearing, the class was also referred to as a mild to moderate special day class. For consistency, the class will be referred to as SDC-LH in this decision. 6. To ascertain Student’s attention level, Hunter provided the Conners’ ADHD/DSM-IV scales (CADS-T) to Student’s teacher and special education aide. The CADS-T is a teacher’s rating scales designed to assist in assessing clusters of specific behaviors in the areas of attention, impulsivity and hyperactivity/restlessness. Both ranked Student as having significant attention deficits consistent with a diagnosis of Attention Deficit Hyperactive Disorder (ADHD). At the time of the assessment, Hunter also confirmed with Student’s physicians that she had a diagnosis of ADHD. 7. To ascertain Student’s visual processing abilities, Hunter administered the Motor-Free Visual Perception Test-Third Edition (MVPT-III). The MVPT-III is designed to measure an individual’s ability to process information presented visually without incorporating a motor response. Student scored below the first percentile on this measure with a standard score of less than 55 in the low range. Although Student performed well on test items designed for students in the age range of four to ten years, she had difficulty as the items became more advanced, demonstrating weak visual perceptual skills. 8. To ascertain Student’s level of sensory-motor functioning, Hunter administered the Developmental Test of Visual Motor Integration (VMI) to Student. The VMI is a structured paper/pencil task requiring visual perception, and hand/eye and motor coordination in reproducing geometric designs. Student received an overall standard score of 64 in the low range on the VMI. Her visual perception subtest score was 45, below the first percentile and in the very low range in comparison to same aged peers. Hunter concluded that although Student showed overall weak skills, she demonstrated better fine motor coordination than pure visual coordination. 9. To ascertain Student’s level of auditory perceptual skills, Hunter administered the Test of Auditory Perceptual Skills-Third Edition (TAPS 3). The TAPS 3 is used to assess the auditory processing skills used in the use and understanding of language as it is commonly applied to everyday conversations and academic settings. The TAPS 3 includes three subtests: word discrimination, word memory and sentence memory. Student performed in the low range in all subtests, demonstrating weak auditory perceptual skills. 10. To ascertain Student’s adaptive skills, social-emotional status, and behavior challenges, Hunter interviewed Student, Parents, the special education teacher, as well as Student’s aide, physicians and psychiatrist. Hunter also used the Behavior Assessment System for Children Parent Rating Scales-Adolescent 2 (BASC-2), and the Behavior Assessment System for Children Teacher Rating Scales-Adolescent 2 (BASC-2). The BASC-2 is designed to help diagnose and classify a variety of emotional and behavioral issues in children. Hunter also used the Adaptive Behavior Assessment System-Second Edition (ABAS-II) which is designed to assess adaptive skills. The parents, special education teacher and aide each completed a questionnaire for the ABAS-II. The ABAS-II is an instrument which uses observations made by primary caretakers and teachers to assess an individual’s adaptive abilities in various areas of daily living. Hunter found that Parents’ views concerning Student differed significantly from those of the special education teacher and aide. Generally, Parents viewed Student as having higher level adaptive skills, communication and overall daily living skills than the special education teacher and aide. While Parents primarily rated Student in the average to below average range, the teacher and aide provided ratings in the extremely low range. 11. Based upon his assessment, Hunter opined that Student’s overall cognitive ability was in the low range. Hunter diagnosed Student with moderate mental retardation and intellectual disability resulting from traumatic brain injury. During Hunter’s observation, Student did not participate in class discussions or lessons and interacted only with the aide. Hunter opined that Student had become dependent on the aide. He asserted that she needed an alternative functional curriculum delivered at a slower pace than that offered in the SDCLH class. He concluded that Student would benefit from placement with peers at the same cognitive level with whom she could socialize. The placement should also include a more functional curriculum focusing on improving her adaptive skills and independence. Hunter opined that Student can learn new skills, but noted that she needed extensive repetition and a slow pace. 12. In addition to his extensive detailed written assessment report, Hunter provided candid, thorough and thoughtful testimony at hearing. He answered questions completely and demonstrated a detailed understanding of the assessment instruments he used and the information gathered from those tools. For these reasons, Hunter’s testimony was credible. 13. Following Hunter’s assessment, the District convened Student’s triennial IEP team meeting on May 29, 2009. The IEP team consisted of administrator Laura Rydell, administrator Debra Andrews, Special Education Local Plan Area (SELPA) director Ann Huntington, school psychologist Robert Redding, school nurse Mavis Scott, Principal Aaron Scott, special education teacher Paul Kent, APE teacher Kristine Dawson, and Parents. Parents waived the participation of the general education teacher. At the meeting, the IEP team discussed the independent education evaluation prepared by Hunter. Parents disagreed with Hunter’s recommendations. Based upon the assessment results, as well as input from individual team members, the team determined Student’s present levels of performance (PLOPs), and documented them in the IEP. Overall, the IEP team concluded that Student struggled in all academic areas. Specifically, the IEP team determined that Student had educational needs in the areas of behavior, mathematics, gross motor skills, reading, and writing. 14. The IEP team then developed goals in each area of need. The District IEP team members reached consensus that Student was unable to keep up with the pace of instruction in the SDC-LH class. Although the SDC-LH class was taught to state standards at a slower pace, Student could not access the curriculum, even with the help of the one-toone aide. In addition, Student was socially and academically isolated from the class because of her disruptive behaviors, outbursts and inability to complete the class work or participate in the classroom discussions. The District IEP team members agreed that Student needed a more intensive special education setting with a functional or alternative curriculum. For these reasons, the District IEP team members offered Student placement in the Estancia High School SDC for moderate to severe handicaps (SDC-MS) for the full day. In addition, District also offered APE five days per week for 55 minutes per session, and ESY services and transportation. The IEP also included a behavior support plan (BSP) which targeted Student’s verbal outbursts, physical aggression and off-task behaviors. 15. Parents did not consent to the IEP. Accordingly, Student remained in the Newport Harbor High School SDC-LH class for six hours per day, with an instructional aide for 5.5 hours per day and APE five times per week. 17. On October 19, 2010, District issued an IEP meeting notice for Student’s annual IEP to be held on October 29, 2010. On October 21, 2010, Parents agreed in writing to attend the IEP meeting as scheduled on October 29, 2010. The IEP team convened Student’s annual IEP on October 29, 2010. The IEP team meeting attendees were Parents, school psychologist Charlotte Smith, counselor Janice Duzel, school nurse Mavis Scott, case carrier/special education teacher Derek Smith, Coordinator Scott Huffman, assistant principal David Peterson, teacher Sharon Uhl, and District’s attorney S. Dan Harbottle. 18. The team discussed Student’s PLOPs, noting that Student had met only two of her 16 goals, had not made progress in the SDC-LH class, and continued to perform at the first grade level. The IEP team ascertained that Student had educational needs in the area of gross motor skills, mathematics, self help/domestic help, reading and writing. The IEP team developed goals in each of the identified areas of need and a transition plan which addressed independent living skills, education/training and employment goals and activities. All IEP team members including Parents agreed to the goals and the transition plan. 19. The IEP team members also discussed that Student had become dependent upon her one-to-one aide. This dependence resulted in Student becoming isolated from the rest of the class, as she was not able to follow the curriculum, and displayed inappropriate behavior and outbursts. The District members of the IEP team reached consensus that the SDC-LH was above Student’s ability level and an inappropriate placement for Student. They also concluded that Student was not receiving any benefit from the SDC-LH placement. 2 The February 1, 2010 IEP was not introduced into evidence in the due process hearing. 20. District members of the IEP team then proposed a change in placement for Student. 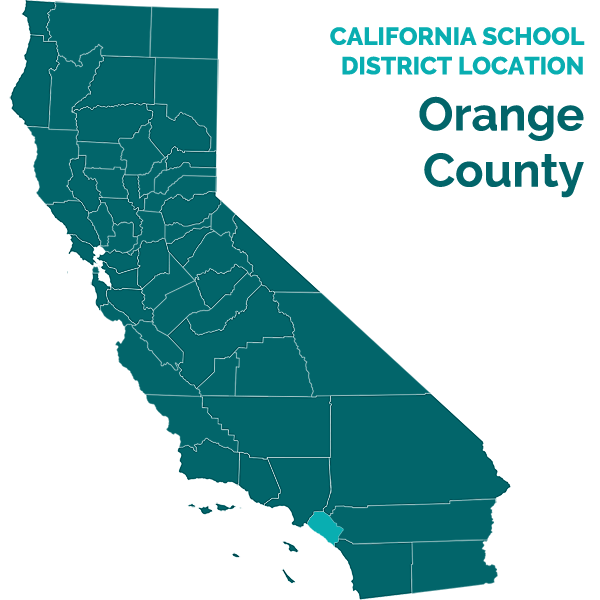 Specifically, District proposed to move Student from the SDC-LH class, where she had a one-to-one aide, to the SDC-MS class at Estancia High School in Costa Mesa, without a one-to-one aide. The offer of placement and services was the Estancia High School SDCMS class for 300 minutes (five hours per day) for five days per week, APE five times per week for 55 minutes per day, transportation services, and ESY. The Estancia High School SDC-MS class focused on functional and adaptive skills, and had less than twenty students. In addition to the special education teacher, the class was staffed with two special education aides. The SDC-MS students were always accompanied by an aide when changing classes or circulating in the general school population. Because the SDC-MS class was small with a low student-to-teacher ratio, a one-to-one aide would not be necessary for Student in the SDC-MS class. District IEP team members believed the SDC-MS would foster Student’s independence and promote interaction with classmates which the presence of the one-to-one aide had inhibited. The SDC-MS class would also offer Student the opportunity to use skills learned in the classroom in the community and would offer mainstreaming of Student into the general education population with her SDC-MS classmates supervised by the SDC-MS classroom aides. Parents agreed that Student should be receiving instruction directly from the teacher and not the aide. Parents also agreed that Student needed more independence and did not object to the removal of the aide. 21. Student’s parents consented to the IEP except for the change in placement. Parents did not want Student transferred to Estancia High School. Parents were concerned that Estancia High School was not a safe school. District’s program coordinator offered to show Parents the SDC-MS program at Estancia High School, but Parents declined. Parents preferred that Student be placed in an SDC-LH class at Newport Harbor High School. Student’s school of residence was not Newport Harbor High School, but instead was Costa Mesa High School. 22. School psychologist Charlotte Smith (Mrs. Smith) was a member of the IEP team and familiar with Student from conducting prior assessments of Student. Mrs. Smith worked at Estancia High School from 2001 to 2009 as a school psychologist. Mrs. Smith opined that Student’s IEP could be fully implemented in the Estancia SDC-MS class. Based upon her experience as a school psychologist working at Estancia, she opined that the SDCMS class was a safe and appropriate placement for Student. She did not have any concerns about Student’s safety at Estancia High School and opined that Estancia was a safe school. 23. Derek Smith (Mr. Smith) was Student’s special education History teacher, case carrier, and a member of the IEP team. At hearing, Mr. Smith persuasively testified that Student was not successful in the SDC-LH class. Student was receiving failing grades in most classes at the time of hearing. Mr. Smith considered Student to be isolated in the class. She did not interact with other students and was not able to access the curriculum even with the help of a one-to-one aide. Mr. Smith agreed with the IEP team’s recommendation to place Student in the Estancia High School SDC-MS class. 2. District contends that the SDC-MS placement at Estancia High School contained in the October 29, 2010 IEP offered Student a FAPE. Student did not appear at hearing. As discussed below, District met its burden of proof. 13. Here, in developing the October 29, 2010 IEP, the District complied with the procedural requirements of IDEA and California law. Parents were provided with notice and an opportunity to participate in the development of Student’s IEP. Parents participated in and assisted with the development of Student’s PLOPs, goals, educational program, related services and discussion of the continuum of placement options. The IEP team, comprised of the necessary participants, developed an IEP which comported with the procedural requirements of IDEA and California law including a statement of PLOPs, goals, education program, services, a transition plan, and which delineated Student’s level of interaction with non-disabled peers. 14. District also met its burden of showing that the October 29, 2010 IEP substantively offered Student a FAPE in the LRE. In determining whether a child should be placed in general education, four factors must be considered: 1) the educational benefits of placement full-time in a regular class; 2) the non-academic benefits of such placement; 3) the effect Student had on the teacher and children in the regular class; and 4) the costs of mainstreaming Student. Here, at no time did Parents seek a full time placement in general education for Student, and none of the District IEP team members believed such a placement would have been appropriate. The evidence at hearing showed that Student was not getting educational or non-academic benefits in the SDC-LH. Student was not able to engage with typically developing peers and was isolated because of her behaviors and inability to communicate. In addition, Student’s outbursts and inattention have been disruptive to the special day class, demonstrating that they would be disruptive to general education classes. No evidence regarding the cost, if any, of full time placement in a general education classroom or mainstreaming was presented. Based on the above, District demonstrated by a preponderance of the evidence that a full-time general education placement was not appropriate for Student. Because a full-time general education placement is not appropriate for Student, the focus must be on the continuum of placement options and the degree of mainstreaming, if any, that is appropriate for Student. 15. Here, Student has not been academically or otherwise successful in an SDCLH class. She has been unable to keep pace with the class curriculum, even with the assistance of an aide and has not received any social benefit from participating in the SDCLH class. In the SDC-LH classroom, she has become isolated from her peers and dependent upon her adult aide. Student has disruptive behavior and outbursts which impact her classmates and teacher. In evaluating placement options, District offered the Estancia High School SDC-MS classroom after considering the restrictiveness of the placements and the suitability of each placement to implement Student’s IEP and the non-academic benefits of the placement. Specifically, the Estancia SDC-MS class will provide Student with the functional curriculum she needs, an environment in which she can interact with similarly situated peers, an opportunity for supervised mainstreaming into the general education population with her SDC-MS classmates, and support from special education aides. Additionally, the small size of the class and the low adult-to-student ratio will provide Student with the opportunity to participate in a classroom environment without a one-to-one aide at her side. The placement offered, unlike the one favored by Parents, was appropriate because it would foster independence, development, and generalization of skills contemplated by the goals developed for the October 29, 2011 IEP and is in the LRE. In addition, the District offered ESY to meet Student’s need for additional instruction, as well as the related service of APE. 16. District also demonstrated that, contrary to Parents’ concern that they expressed at the October 29, 2010 IEP meeting, the proposed placement was safe for Student. The evidence offered at hearing showed that in the Estancia High School SDC-MS classroom, Student would be closely supervised in classes with a low teacher-to-student ratio and that the campus itself was safe for Student. Given the above, District has demonstrated that the placement offered in the October 29, 2010 IEP was appropriate and in the LRE. 1. District’s offer of placement at the Estancia High School Special Day Class for Moderate to Severely handicapped as contained in the October 29, 2010 Individualized Education Program, together with the related services, goals and transition plan to which Student’s parents had already consented, offered Student a free appropriate public education in the least restrictive environment. 2. District may implement the October 29, 2010 IEP without parental consent.